Fuchsia is an operating system from Google which is supposed to bring the best of both worlds from Android and Chrome OS. But the important thing to note is that Fuchsia is not based on Linux. The all-new Fuchsia OS from Google uses a new kernel called Zicorn, formerly Magenta developed in-house by Google. Even if it has been more than a year since the initial release of Fuchsia, it hasn’t matured enough in order to be installed on our devices for daily use. Previously some people managed to boot into the new OS, but it only offered a UI with neat multi-window system mostly consisting of placeholder graphics. 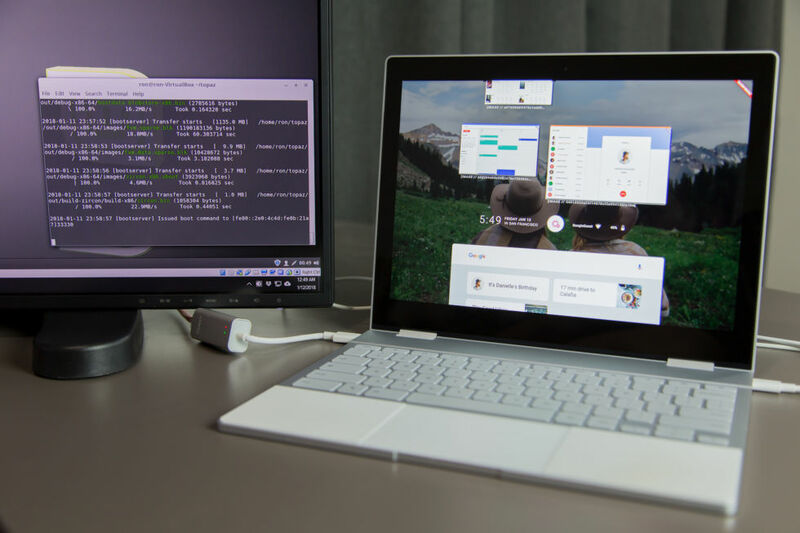 But thanks to Ars Technica, what’s interesting now is that Ars Technica team has managed to boot a full running Fuchsia OS on Google Pixelbook recently. Booting Fucshia is not an easy task. Unlike the GNU/Linux distros out there, you can’t expect to simply download, burn, boot and start the installation. Instead of that, you will have to make a bootable device using Zedboot. Zedboot is basically a network bootloader. According to the initial testing from Ars Technica the touchscreen, trackpad, and keyboard and USB ports are reported to be working fine. Regarding network, Wi-Fi didn’t work but the USB Ethernet adapter worked just fine. But again don’t expect it to be stable because it crashes a lot, a lot of things don’t even work. Fuchsia still got a long way to go in order to be called stable. It is noted that Google still hasn’t made any serious announcements regarding the stable release or exclusive features of Fuchsia. Let’s take a look at what’s working and what’s not according to the latest and extensive testing by Ars Technica.